It’s really important to backup your files such as important documents and most importantly pictures you’ve taken. The safest way is to back them up online. ZipCloud is offering a free 14 day trial to see how you like their service. 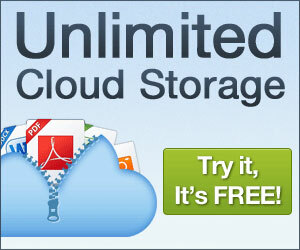 Their 14 day free trial includes 15MB of storage and the backup is done automatically. If you decide you like them, it’s only $4.95/month and you’ll have unlimited space. That means you can put as many pictures and documents you want!